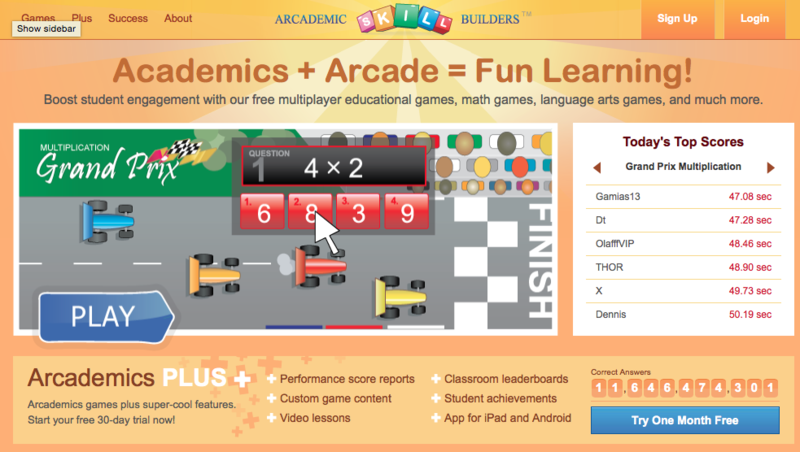 Academics + Arcade = Arcademic! Arcademic Skill Builders has a range of racing games which put you against other real players to improve your skills. You can choose the games you take part in. Whether it’s adding fractions, multiplication tables, typing skills, naming American states and more. The quicker you answer the questions the faster you race. If there are no other humans currently playing the game then you will against the computer. Be sure to select your ‘Grade’ to ensure you get a game at your level.